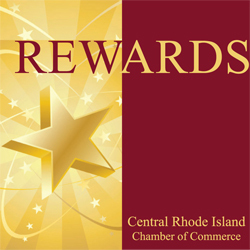 REWARDS are special discounts, promotions or value added offers by Members of the Central Rhode Island Chamber of Commerce in good standing. Central Rhode Island Chamber Members Submit Your Offer - A FREE benefit of membership. Central Rhode Island Chamber Members have the option to also be included in the New England Tech Community Discount Program. A new program announced in conjunction with the East Greenwich and Central Rhode Island Chambers of Commerce reaching the students (2,500+ people), faculty (450+ people) and alums (20,000+ people) of the New England Institute of Technology Community. 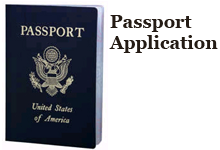 Individuals will present a valid New England Tech ID card to redeem the offer. All REWARDS offers have been submitted by their respective companies and are subject to change. Contact the company offering the REWARD for complete details. We found 85 Chamber members that currently have REWARDS. Click on the REWARDS Offer details to view a printable coupon. Click to sort REWARDS by business name. REWARDS Offer: 10% off your first bookkeeping service, and 15% off the preparation of your personal and small business tax returns for Central RI Chamber members and their employees. REWARDS Offer: Need a speaker for a group of 20 or more? We'll come and speak, do a presentation, and offer / free appraisal per person. REWARDS Offer: Apply for Webster Business Remote Deposit for only $35 per month with Webster Complete Business Checking. This terrific new service lets you deposit checks directly from your office anytime – speed up receivables and bank on your schedule! REWARDS Offer: Lifocus, Inc. will offer all Chamber Members a 50% discount on all career related services indicated on our Website. REWARDS Offer: Free initial consultation and examination with Dr. Catie McArdle or Dr. Bob Sedlor. Offer valid for everyone. REWARDS Offer: Special rate for radio show sponsors who are Central RI Chamber members. REWARDS Offer: Free college planning and financial aid guidance sessions with industry experts. Call 401-736-3170 or visit us at collegeplanningcenter.org to make an appointment. REWARDS Offer: Additional 25% off discount to Chamber Members. Free space plan for Chamber Members who may be expanding, purchasing a new office, or whomever wished to better utilize their space. REWARDS Offer: Receive a free $50 Visa gift card when you sign up for a merchant services account with East Commerce Solutions. * *Some restrictions apply. REWARDS Offer: "Special Introductory Offer" including 3 private lessons for only $95. REWARDS Offer: “A no cost second look at your employee benefits. There are always better options, let us help you find them." REWARDS Offer: 15% off Policy and Procedure Manual package. REWARDS Offer: "HOW MUCH MONEY CAN YOU SAVE? Visit http://www.slocumins.com/online-quote/ to receive FREE online Auto Insurance quotes from 6 different insurance companies all in the same place." REWARDS Offer: 15% Discount on Email SPAM Filtering Service-Is it time you did something about your email problem related to spam, phishing, viruses and other email threats-save time and resources & have the security you deserve. REWARDS Offer: Exciting advertising special - details coming soon! REWARDS Offer: $35.00 discount off a pair of anti-glare spectacle lenses. REWARDS Offer: Free 1 hour consultation. REWARDS Offer: Save $20 discount on your service call. Visit rileyplumbing.com for the coupon. REWARDS Offer: Complimentary market analysis for any seller. Complimentary consultation for first time home buyers to learn what it takes to purchase your first home. No obligation of any kind. REWARDS Offer: Purchase a home thru us and receive a Free Home Inspection maximun value $300. REWARDS Offer: Sign up for our e-mail club and receive a birthday gift certificate! REWARDS Offer: Come to Tamarisk and take a tour of our lovely residence and grounds. Ask about lunch catered by our Executive Chef and a special dessert created by our Executive Pastry Chef. Appointment required. REWARDS Offer: Free Social Media Cleanup. Updated Profile, Cover Photo, Services and About You section. Facebook or Instagram. REWARDS Offer: Energy efficiency incentives for businesses and residential customers. netWORKri Career Centers: staff members are available to assist job seekers understand the job market and select a career path suited to their objectives. As a result, they are able to choose the appropriate skills training and information to help them get a job. 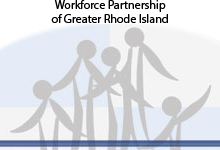 There are centers located in Providence, Wakefield, West Warwick and Woonsocket.